Here’s a bit of fun for your Tuesday. Mike Stimpson has a fondness for taking photos of LEGO. That might seem an odd hobby, but he is really good at it, and the results are very fun. 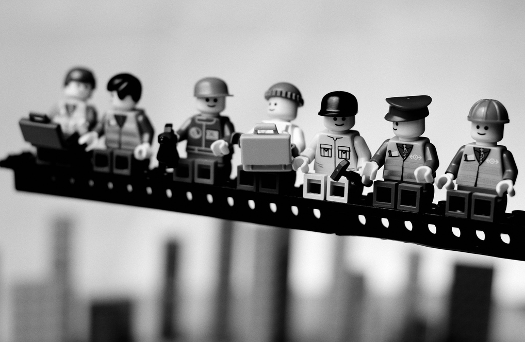 A recent series finds Stimson recreating classic photographs in the LEGO world. 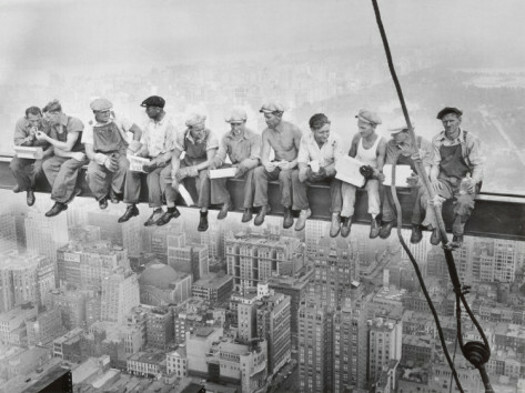 The shot at the top is his version of Charles C. Ebbets’ ‘Lunch Atop A Skyscraper’, as seen below. You can see more from the series in this flickr gallery and at MikeStimpson.com.